An appeal court sitting in Lagos, south west Nigeria has adjourned for judgement the appeal filed by star actress and former beauty queen, Ibinabo Fiberesima challenging the judgement of a Lagos High Court which sentenced her to five years imprisonment for causing the death of a Lagos medical doctor, Giwa Suraj. The embattled actress was sentenced to five years imprisonment by Justice Deborah Oluwayemi for reckless driving which caused the death of one Dr. Giwa Suraj in an auto accident along Lekki-Epe expressway, Lagos State. The deceased was a staff of one of Lagos state owned hospitals. At the hearing of the appeal today, the appellate court presided over by Justice U.I. Ndukwe-Anyanwu (Mrs.) adjourned for judgement in the appeal after counsel adopted their written addresses. The court also directed that the appellant (Fiberesima) who was not in court should appear in court when judgement is to be delivered, adding that, the date will be communicated to the parties. Fiberesima had earlier been fined a N100, 000 by an Igbosere Chief Magistrate Mr. O.A. Isaacs but the then Lagos State Attorney-General and Commissioner of justice, Olasupo Sasore (SAN), felt unsatisfied with the judgement and appealed. This prompted the state government to take its case to the Lagos High Court. In her judgment, Justice Oluwayemi held that the trial Magistrate exercised judicial recklessness when he gave the convict an option of fine. 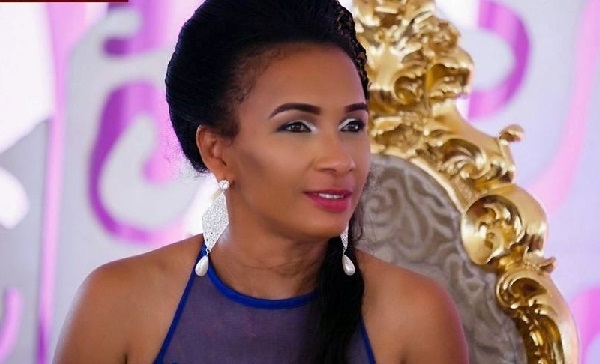 The court held that the option of N100, 000 given to the convict did not serve the purpose of justice in the matter and subsequently ordered that the N100, 000 should be returned back to Ibinabo Fiberesima. The court noted that the trial magistrate must have misdirected himself based on the plea of leniency made by the counsel to the convict that she is a working mother. Justice Oluwayemi held that Sections 28 of the Traffic Law on which the accused person was convicted does not give an option of fine stressing that when term of imprisonment is mandatory the court cannot and should not give an option of fine. The court added that Section 28 of the Road Traffic Law clearly provides that where a reckless and dangerous driving has caused the death of a person, the accused person shall be guilty of an offence and is liable on conviction to imprisonment of seven years. Dissatisfied with the judgement of the high court, Fiberesima in her amended appellant brief filed by her lawyer, Nnaemeka Amaechina before the Court of Appeal urged the court to set aside the five year sentence and restore the decision of the Magistrate Court. Adopting his brief of argument today, Amaechina argued that the Magistrate’s Court exercised its discretion properly and there was no ground to review it by the high court. He submitted that by virtue of the Notice of Increased in Jurisdiction of Magistrates, No. 7 of 2006, the trial Magistrate could only impose a maximum of 7 years imprisonment or N100, 000.00 fine. He added that N100, 000.00 fine is the maximum limit the trial Magistrate can impose as fine and that was what it imposed on the appellant. In her response, counsel to Lagos State, Rotimi Odutola (Mrs.) argued that the law creating the offence of dangerous driving causing death has provided for a term of imprisonment as punishment for anyone convicted under section 28 hence the trial Magistrate ought not to exercise such arbitrary discretion to impose N100.000.00 as fine. Odutola further submitted that the children of the deceased have been permanently deprived of the ‘’measureless contributions’’ of their father to their lives as a result of his death caused by the appellant. She urged the court to uphold the judgement of the Lagos High Court and dismiss the appeal. The Commissioner of Police, Lagos State Command had in 2005 charged the ex-beauty queen [Fiberesima] to the magistrate court on a two-count charge of dangerous and reckless driving along Epe Expressway, Lagos which resulted to the death of Dr. Giwa Suraj.